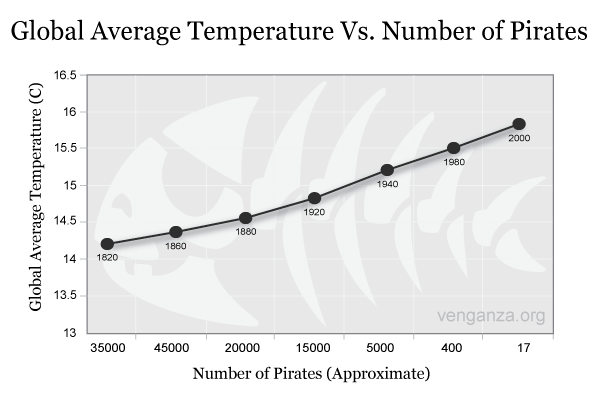 I do love that graph, indeed the decline of pirates seems to have caused global warming. Oh wait, that'd be causation, not correlation. :) Newspapers always seem to get them confused.